I gotta catch them all. Get ready for another mad dash to retailers for the next wave of amiibo. Nintendo has announced that the next set of figures will be released on September 11. 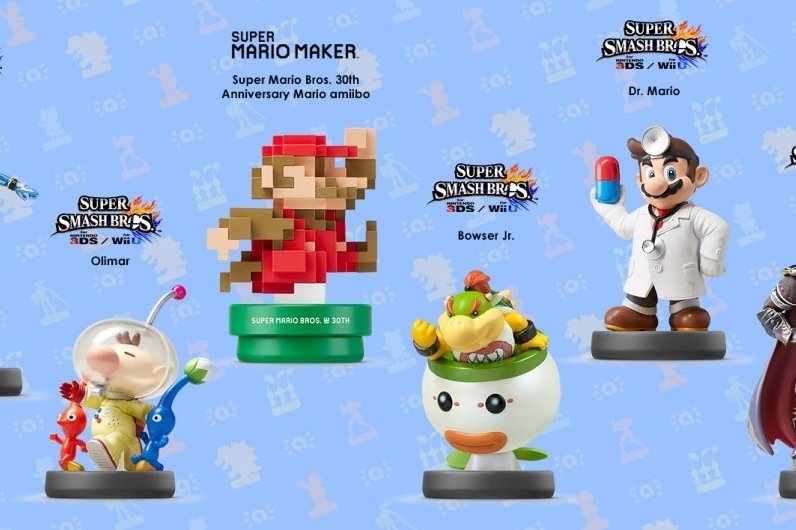 The very first amiibo in the Super Mario Maker series, 30th Anniversary Mario Classic Color, will be released as well. Quick on the heels of the September 11 wave will be the Retro 3 Pack coming to stores September 25. This pack will contain the Duck Hunt, R.O.B., and Mr. Game and Watch figures, and is sure to sell out fast. Although exact dates haven't been released, November should bring the Mii Fighter 3 Pack and possibly the 30th Anniversary Mario Modern Color. I can't wait for another chance to fuel my amiibo addiction!